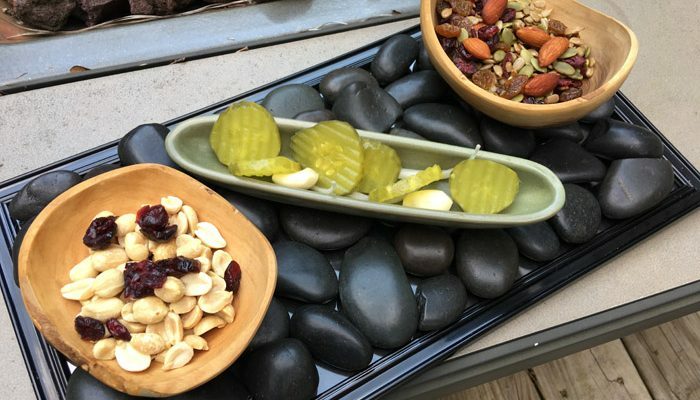 Rock Trivet| A Rock Trivet is easy to make and fun to use. It’s Crafty Friday and I made a Rock Trivet. I am more inclined to do a craft on Friday because I’ve cooked all week and have leftovers to eat, and I can stay up late if I need to in order to finish whatever I have started. This Rock Trivet however took about 15 minutes to make, and now I must eat my leftovers with idle hands and find a movie to watch on TV. Do We Not Have Rocks Anymore? 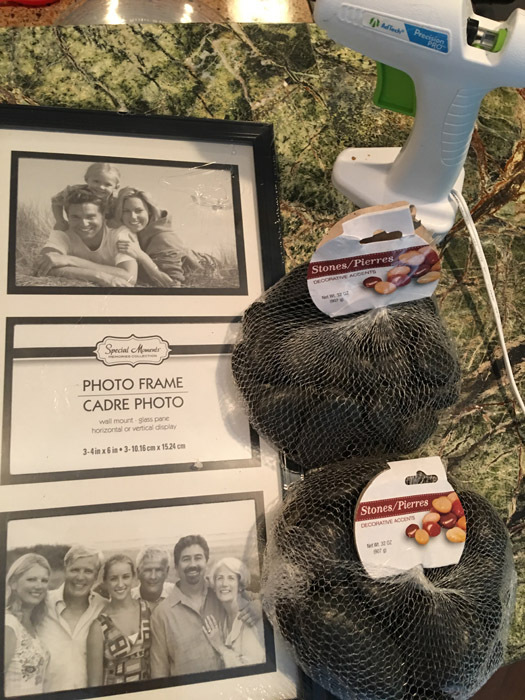 I went to the Dollar Tree after work and picked up two bags of rocks and a picture frame. I opted for a long and skinny frame so that I could use my trivet as a tiny table runner, too. Apparently we don’t have rocks in America anymore because these rocks are from China. I’m cracking up. Did they seriously send a cargo ship full of rocks from China to America? You know the saying, Dumb as a Box of Rocks. I think we might qualify since we are actually importing bags of rocks! 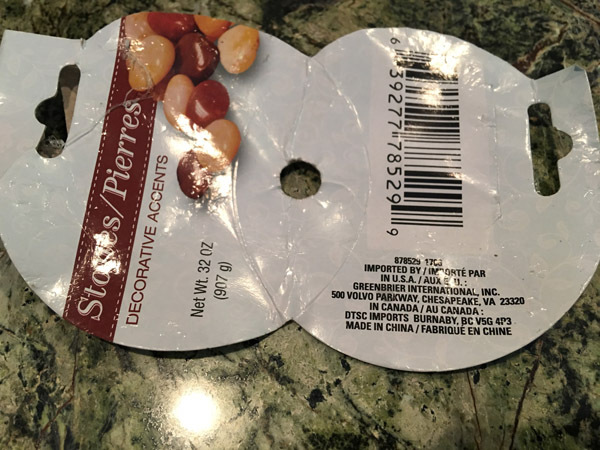 Or should I call them magic beans? The fun thing is that now I can say that I have a Rock Trivet with beautiful imported quartz from the Far East. Here are my supplies. 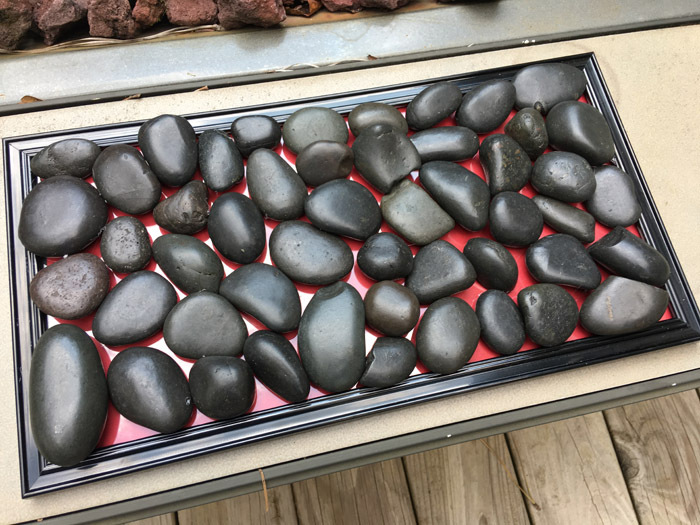 I bought the rocks and frame and I already had hot glue and the felt backing. I used the hot setting for my glue gun. It’s the gift that keeps on giving when you accidentally get the glue on bare skin. It just keeps on burning and burning until you scrape it off with a layer of your skin included. Pain and agony. 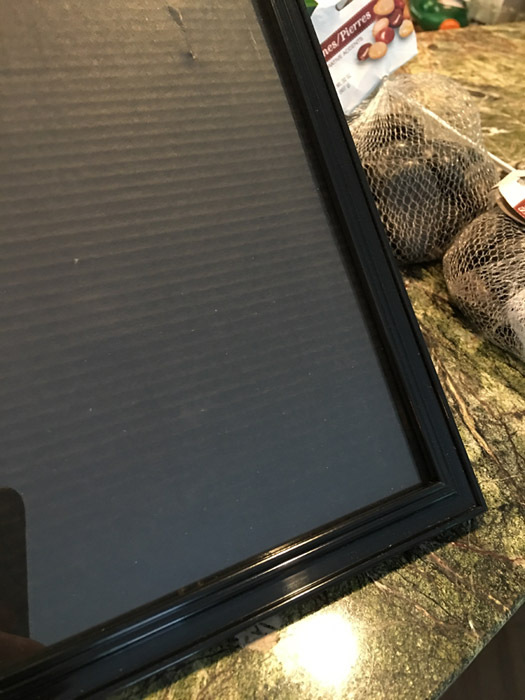 First, you need to pull up the prongs and remove the backing of the picture frame and take out the fake family photos. The outer backing of mine was black so I flipped it over and pushed the metal prongs back down to secure it. 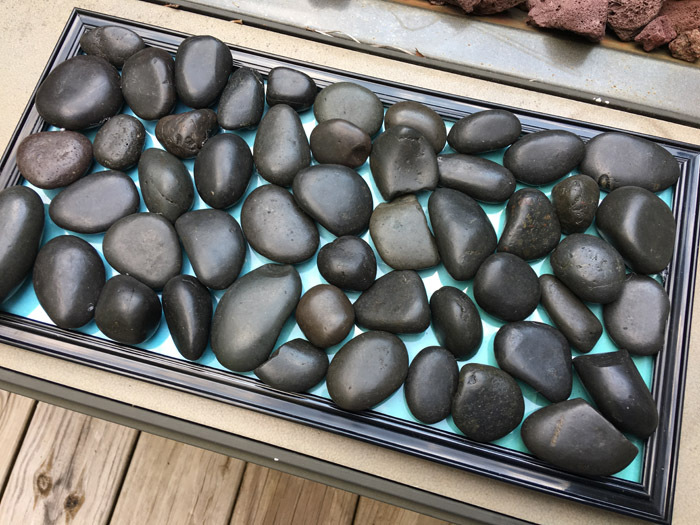 Next, I laid out the rocks on the top of the plastic “glass” of the picture frame. Mine took two bags. Last, I glued them down, one by one. After gluing the all down I did a jiggle test and found that I had missed a few and then glued some more. I flipped the trivet over and placed felt circles on the bottom so the frame and prongs wouldn’t scratch my countertops which are marble and granite and probably imported from somewhere, too. Maybe importing rocks isn’t such a dumb idea after all. I gathered a few nibbles for my movie session later and took a few photos for you. Now, here is the coolio part. If you want to use your trivet for game day, you can put different pieces of paper under the glass to represent your school colors. I put red in for my Georgia Bulldogs. I could see gold for Georgia Tech, orange for Auburn, and Green for Michigan State. You can also use blue to match a decor or use orange for Halloween. Love it! One word of caution is that the rocks are heavy and the joints of the plastic frame are a little rickety. I would support the sides as much as you can as you move it about. The backing on this one looks silvery but it is actually just the sun reflecting. I’m going to go find a movie to watch. Any suggestions? I never thought of rocks being imported–clearly, I need to pay attention! 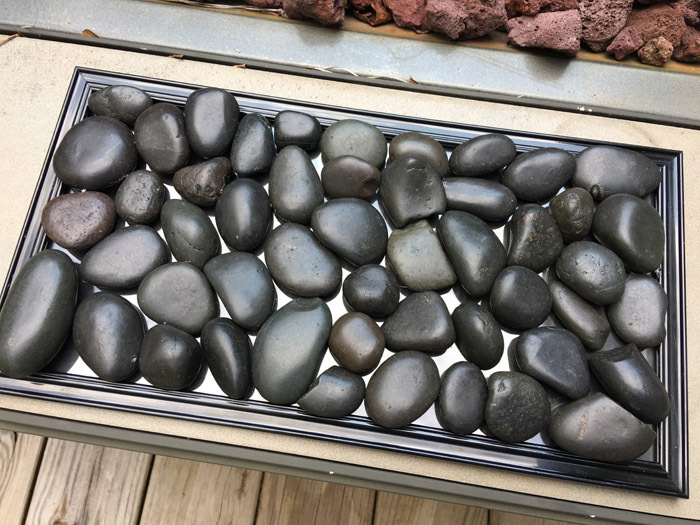 What a great idea using rocks and a picture frame to make a trivet. Thanks for the idea! 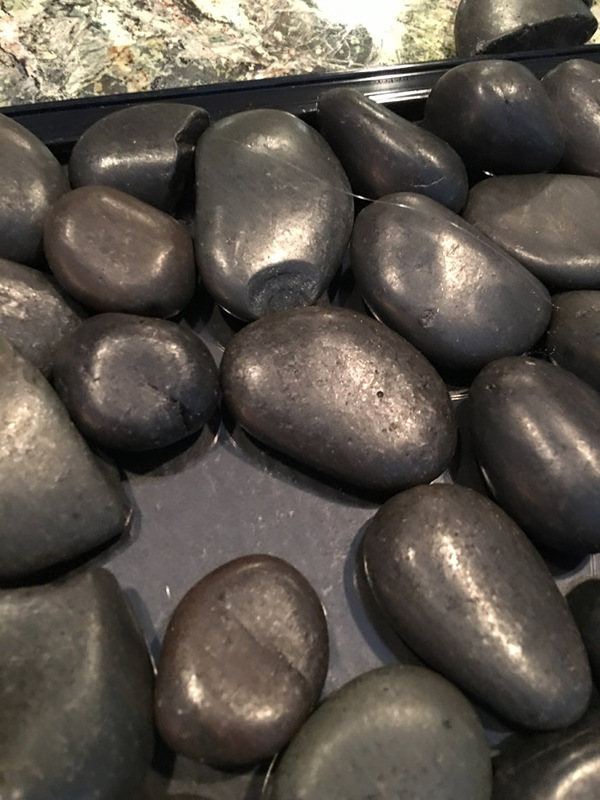 I couldn’t believe it either when I saw that the rocks were imported, but now I love my fancy and exotic quartz home decor. Super cool idea, especially when you change the colors for you favorite team or for the season. 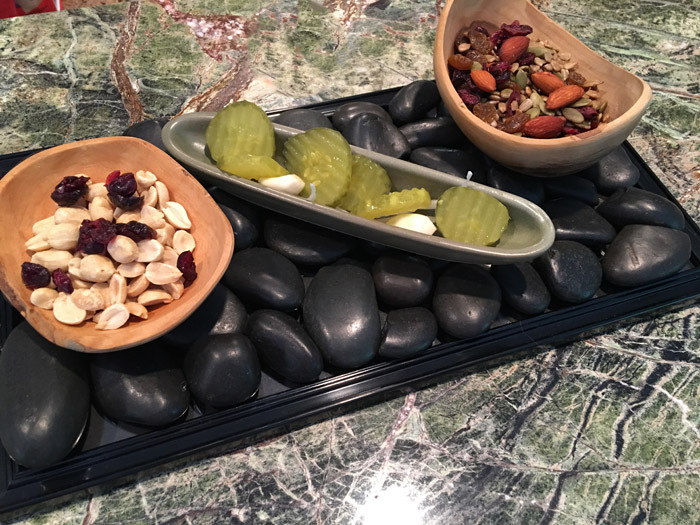 Since you used exotic Asian rocks, maybe this is Fung Shui as well! Yes, I feel very relaxed and centered. It was very easy without having a bunch of craft supplies left over. I love this rock trivet! !